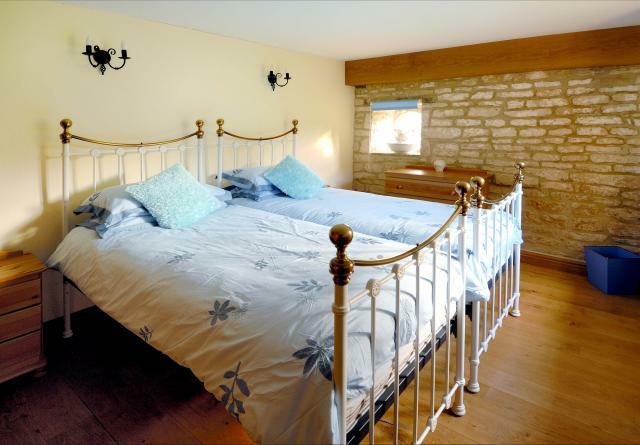 Barncastle, Cotswolds, Gloucestershire, sleeps 5-10 in 5 bedrooms. 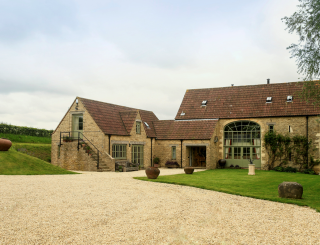 Welcome to Barncastle, a large, recently converted Cotswold stone barn nestling in the beautiful Painswick valley. Once a home to farm animals, farm implements and a dairy farm belonging to my parents. 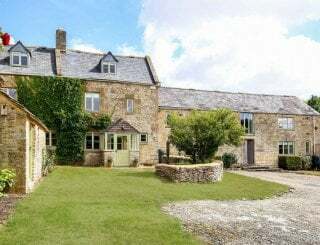 Barncastle was converted in 2007 and has become a property of outstanding elegance and beauty and much loved by the guests who come to stay for a holiday. 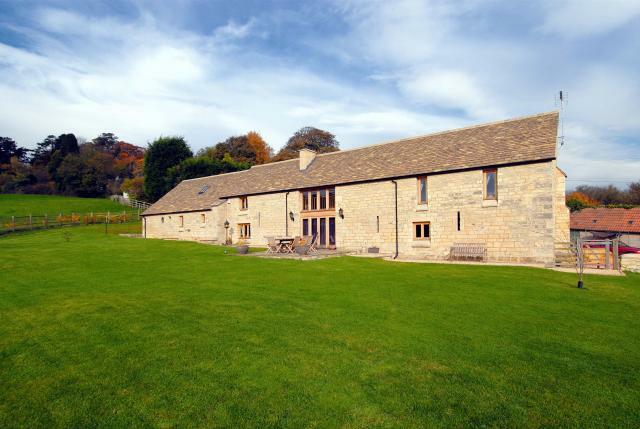 Barncastle has a five-star Gold ETC rating and recently won Silver in the Cotswold Tourism Awards for 2013. 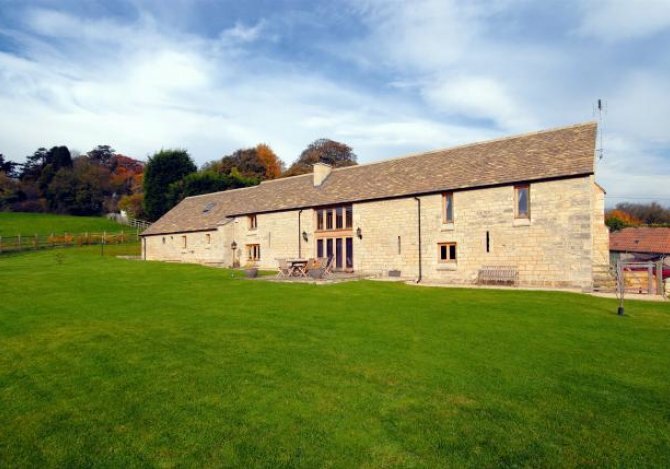 Barncastle has 5 bedrooms, 4 bathrooms and will sleep 10 comfortably. 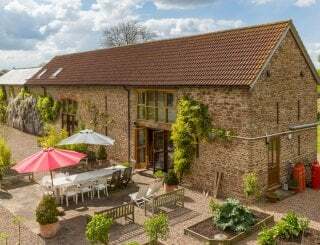 This beautiful self-catering barn conversion has a well-appointed, fully-fitted kitchen. 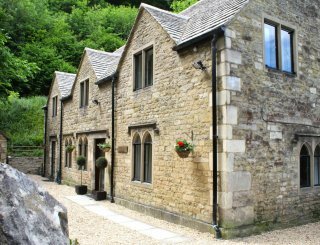 A pleasure to cook in, there is a traditional stone floor and large American-style fridge, range cooker and dishwasher. 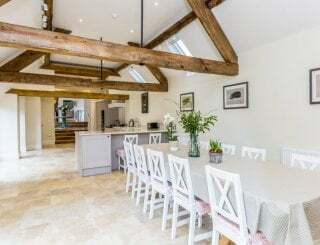 The dining hall, with its oak flooring and a large Cotswold stone Inglenook fireplace allows everyone to eat together in this wonderful setting. 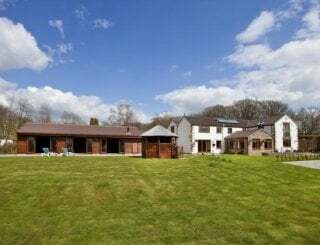 Perfect for family and friend get-togethers, the five bedrooms include two king-size bedrooms one with en-suite, which includes a claw-foot bath. There are also another two doubles, and one twin room plus one sofa bed with draw around curtains on the gallery to allow further flexibility. 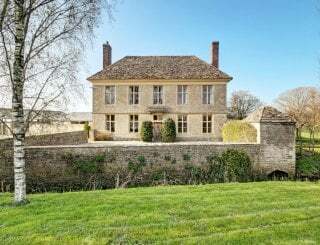 Set in a wonderful rural setting on the edge of the Cotswolds, Barncastle is easily accessible being close to the M5, while still offering a superb five-star family house in which to explore the area. 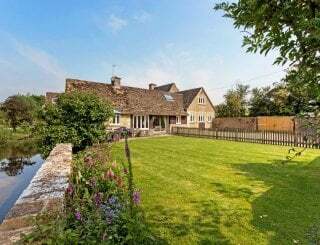 This gorgeous holiday home is close to the lovely Cotswolds as well as the towns of Painswick and Stroud and within a short distance of nearby historic Gloucester, with its historic docklands and beautiful Cathedral. 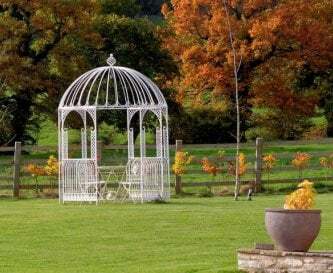 Regency Cheltenham is a short drive with its many restaurants, theatres, literature and music festivals, shopping, Gloucester rugby and Cheltenham Racecourse. 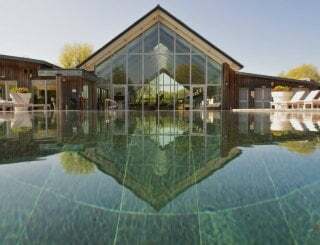 There is a wide variety of traditional and modern pubs and restaurants nearby, and many activities can be catered for locally including riding, shooting (clay), fishing, golf and dry slope skiing. The beautiful, fully-fitted kitchen has a traditional stone floor and includes large American-style fridge, range cooker and dishwasher. A beautiful dining hall with oak flooring and a large Cotswold stone Inglenook fireplace. There is a dining table and chairs to seat 10. Dining room on the ground floor with oak flooring and French doors leading outside. Beamed galleried living room with open fire on the first floor. There is a 50" sky TV with DVD in the main lounge. On the gallery in the children's area a further 40" wall mounted TV with DVD and children's books. 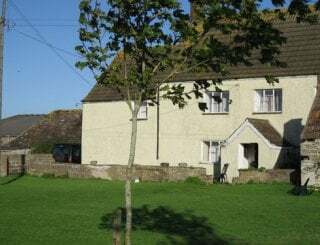 Barncastle has wireless BT broadband. We don't have a games room. Oil central heating throughout. Underfloor heating downstairs with radiators upstairs. Two wood burners one in the lounge and one in the dining room. 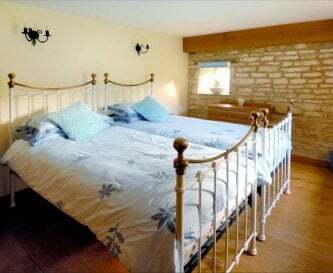 Two king-size bedrooms one with en-suite and with claw foot bath, two doubles and one twin room. The twin beds can be joined together to make a king. All bedrooms have fitted sheets and duvets. Bed spreads are provided throughout the winter. The main bedroom has en suite with claw foot bath. There are three other bathrooms all with showers, wash basins,and one bathroom has a large bath. A folded travel cot and high chair is available at all times. There is a children's area on the gallery with children's books and TV with DVD. 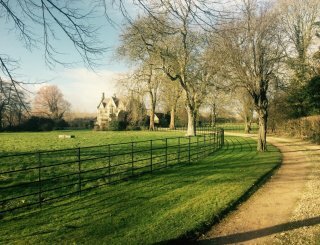 The garden is large and enclosed with spacious lawn area, patio with plenty of garden furniture and a barbecue in the summer. There is plenty of parking space at the front of the property. 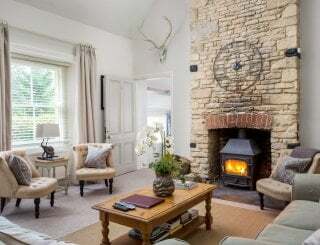 This gorgeous holiday home is close to the lovely Cotswold towns of Painswick and Stroud and within a short distance of nearby historic Gloucester and Cheltenham for restaurants, shopping and theatre. Painswick is the nearest village approximately 1 mile away. Stroud is the nearest town approximately 2 miles away. Painswick has a small supermarket, tea room, restaurants, chemist, pubs, hairdresser and a selection of shops. Doctors and dentist. A beautiful church with its 99 yew trees and historic stocks. The Edgemoor is within walking distance. The Falcon, St. Michaels, Olivias and several others within Painswick approximately 1.5 miles away. 3 and 4 night breaks from £900-00 - £1,200-00. 7 night breaks from £1,200-00 - £2,750-00 for Christmas Week and New Year week. Change over days are either Monday or Friday. Full payment requested one month prior to arrival, plus damage bond of £300.00 which is refunded after inspection. Stroud railway station is approximately 2 miles away. Gloucester approximately 5 miles away. Buses run from Stroud to Cheltenham or to Gloucester but usually via Edge. Bristol is the nearest approximately one hour or Birmingham which is approximately 2.5 hours. 15th - 19th April. 4 nights. Sleeping 10 people within 5 bedrooms. Bed linen, towels and elec. provided. 5 star gold award. £1,000.00. Sky tv, dvd, broadband. Lovely views across the valley. 6th - 10th, 13th - 17th, 20th - 24th May. 4 nights sleeping 10 people within 5 bedrooms. £1,200. Awarded 5 star gold. 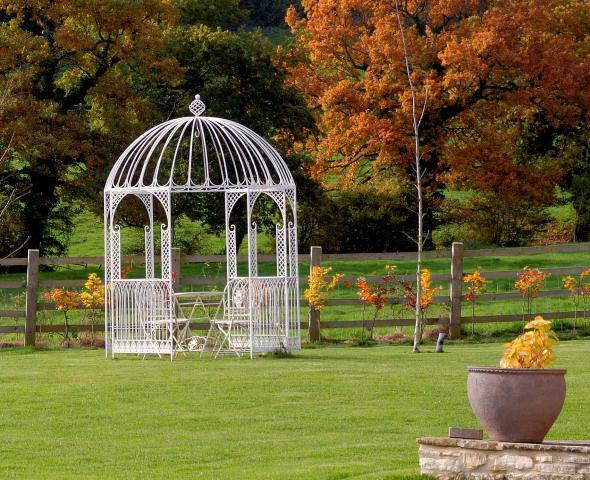 Located in a beautiful Cotswold village near Painswick.